Stock markets closed on Monday with downward trend due mainly to price fall in large-cap securities. The falling major sectors were cement, pharmaceutical and chemical, insurance and tannery industries. A total of 185 securities of the large-cap group moved down due to lower activities. followed the same trend with 14.33 points down at 1,248.18 and with 23 points down at 1,899.92 respectively. The daily trade fell to 11.63 crore shares from Sunday’s 15.47 crore shares and the day’s trade value at the DSE decreased to Taka 493.94 crore from Taka 576.62 crore of the previous session. At the DSE, prices of 75 securities out of the day’s 339 closed higher against 227 losing issues. Button, Samata Leather, National Tubes and Intech. KPCL topped the turnover list followed by Summit Power, UPGDCL, Shasha Denims and DSSL. 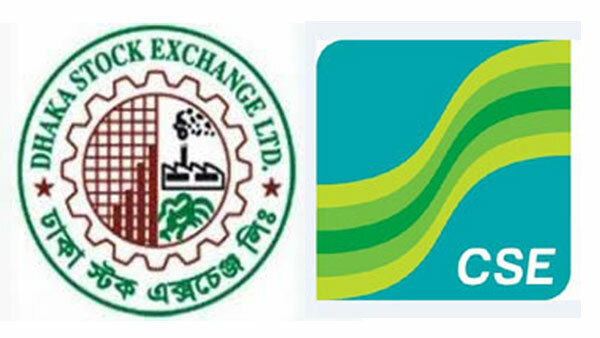 The Chittagong Stock Exchange (CSE) closed the day of the week with downward trend with its major CASPI 219.25 points down at 16,582.15.